Would you agree that all couples could stand to spend some time improving their marriage communication skills? Would you also agree that communication is critically important when it comes to improving a marriage? The problem is that couples often struggle with developing this key skill. In fact, studies have shown that poor communication is one of the leading causes of marital failure. Couples are often poor at communicating about money, their needs from the marriage, how they handle conflict within their marriage, what to eat for supper, what to watch on TV, etc., etc., etc. I truly hope that’s the case for every person reading this post. However, you’re kidding yourself if you think you and your spouse can’t benefit from improved communication skills. Hint: Never be satisfied when you can work with your spouse to improve your marriage. 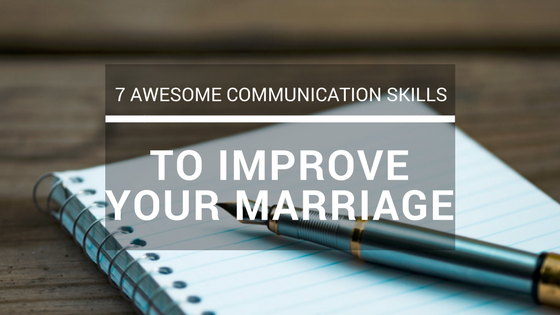 Learning effective marriage communication (like any other skill) is a skill that you must continue to put into practice if you expect to improve. 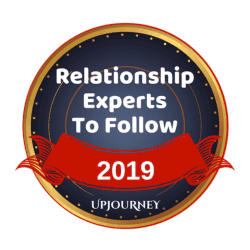 In our recent post 11 Best Don’ts to Avoid and Unhappy Marriage, we discussed that you should never settle for anything less than your best in your marriage. You must work hard to make sure you are doing whatever it takes to make your marriage successful. Continuing to learn and implement effective marriage communication skills is a must “Do” for your relationship. You may be thinking that you don’t know how to get your husband to communicate or how to get your wife to communicate. Although building a strong and happy marriage can be difficult, this post is going to provide some tips you can use to develop ways to communicate with your spouse and improve your marriage communication skills. Have you read Stephen Covey’s book 7 Habits of Highly Effective People? In this book, Covey discusses in Habit #5 that you must first seek to understand the person who you are attempting to communicate with – then look to be understood. Often we are thinking about what we are going to say next while the other person is talking. We are not looking to understand them, we are looking to create our counterpoint to what they are saying. 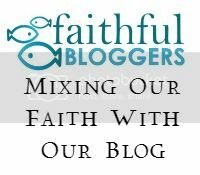 When communicating with your spouse, are you looking to understand their point of view or are you formulating your response rather than listening to them? For your marriage, it is key that you and your spouse work together to seek to understand each other. Marriages are best when the couple is focused on meeting the needs of the other over their own. This includes trying to understand the other before they themselves are understood. Are you seeking to empathize with them? [clickToTweet tweet=”Effectively communicating with your spouse begins with actually listening to your spouse.” quote=”Effectively communicating with your spouse begins with actually listening to your spouse.” theme=”style4″]. The key to intentional listening is that your spouse should always feel that you are listening to them. They need to know that when they are sharing with you, you are focused on what they are feeling and what they have to say. When your spouse shares with you, do they have your undivided attention? Work with your spouse to give each other the attention they need and deserve. Work together to become a more intentional listener. Never underestimate the power a love note can have on your marriage. How good are you at non-verbal communication? Do you even know what it means with regards to your spouse? What are some forms of nonverbal communication? Communicating in a nonverbal manner with your spouse is very important to your marriage. 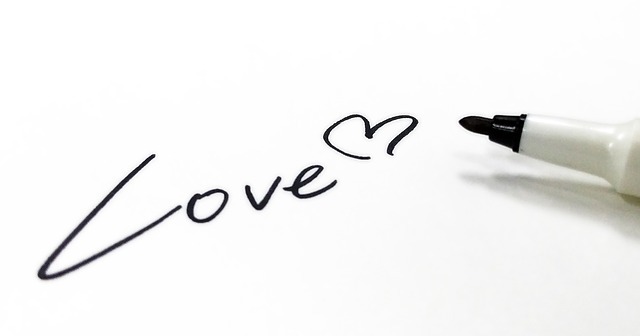 Nonverbal forms of communicating can range from an “I Love You” note left by the coffee pot to a touch on the arm as they walk by to out-of-character silence during dinner. It’s important that you and your spouse are able to communicate with each other nonverbally. It’s important that you learn to interpret their nonverbal clues. In order to do this, you must pay attention to your spouse. You must understand how they interpret love. Do they like small thoughtful gifts? Acts of service? A smile or touch on the arm? Learn to interpret your spouse’s nonverbal clues. When speaking to your spouse, always let your words be used to lift them up. Your words are to never be used to put down or degrade your spouse. Going down this path in your marriage will destroy your communication efforts. The tone of your voice and the words you use can either build up or break down your spouse. The communication skill you need to master is speaking respectfully to your spouse at all times. Do you show interest in your spouse? Do you show interest in their day? An important part of improving communication in your marriage is getting to know your spouse better. In order to do that, you need to ask them questions. Find out what is important to them. Find out how they are doing. Find out about their struggles and their challenges. I know life is busy, but that’s not an excuse for failing to spend time with your spouse. This is of particular importance if Quality Time is one of your spouse’s Love Languages. Learning to communicate better is a skill that takes some practice. It takes some effort. I order to get better at it, you must make the time to sit down with your spouse and get to know them. Both you and your spouse have needs from your marriage. One of the purposes of marriage is to meet the needs for companionship, intimacy, etc. A key communication skill for your marriage is learning to be open and honest with your spouse. You need to be able to let your spouse know your needs. Remaining silent and hoping they will learn to read your mind will only lead to disappointment. It’s not fair to put your spouse and your marriage in a position of having to guess what you need from the relationship. While it’s true that you and your spouse need to be students of each other, you both must know each other well enough that you can discuss your respective needs openly. That is where being a student of your spouse comes into play. Effective communication with your spouse may not come easy and sometimes may not flow naturally. But, you have to keep working at it. Those in happy and healthy marriages work diligently at improving their communication skills. It’s imperative that you and your spouse learn how to effectively communicate with each other. What can 1 do when found in a situation where you are the only 1 trying to improve the relationship and the other party don’t just get whatever you try to communicate to him. Every kind of approach seem to end up in quarrels. Sylvia, thanks so much for reading and for your reply. Feeling as if you are the only one trying in a relationship can be extremely frustrating. I understand that. I am no expert and write from my own experiences, but you must work to communicate with your husband in a manner that speaks to him. The best book that I’ve read on this subject is 5 Love Languages by Dr. Gary Chapman. Dr. Chapman’s book helps couples understand how their partners interpret love. In order to connect with your husband (and he with you), you need to understand each other’s love language. If you send me your mailing address ([email protected]), I’d be happy to send you a free copy. Regarding your tone, I’ve found it best to speak in kindness. This is a skill that is developed over time. Harsh tones and words will only work to cause a disconnect between you and your husband. I find it better, for me, to wait a day or two before bringing things up that I’m upset about. That way, I don’t have a certain tone in my voice that can come across as being harsh. Also, as soon as the conversation starts to develop negative vibes, it’s time to take a break and some deep breaths. Often couples get to the point where they need the help of an outside party such as a counselor, preacher, or trusted friend. You may feel as if you are at that point. I strongly encourage you to pursue this option. Wow, this piece of writing is fastidious, my sister is analyzing such things, thus I am going to tell her.